In my quest to find different and fun items for my business inventory, I seem to be tripping over some interesting numismatic samples. Recently, I purchased a collection of Coca-Cola memorabilia. Basically, if they can print, paint, mold, or stamp “Coca-Cola” on something, it is in this collection. It has everything from the mundane foreign-labeled bottle, including one from Bosnia, up to a 1950s-round metal advertising sign. 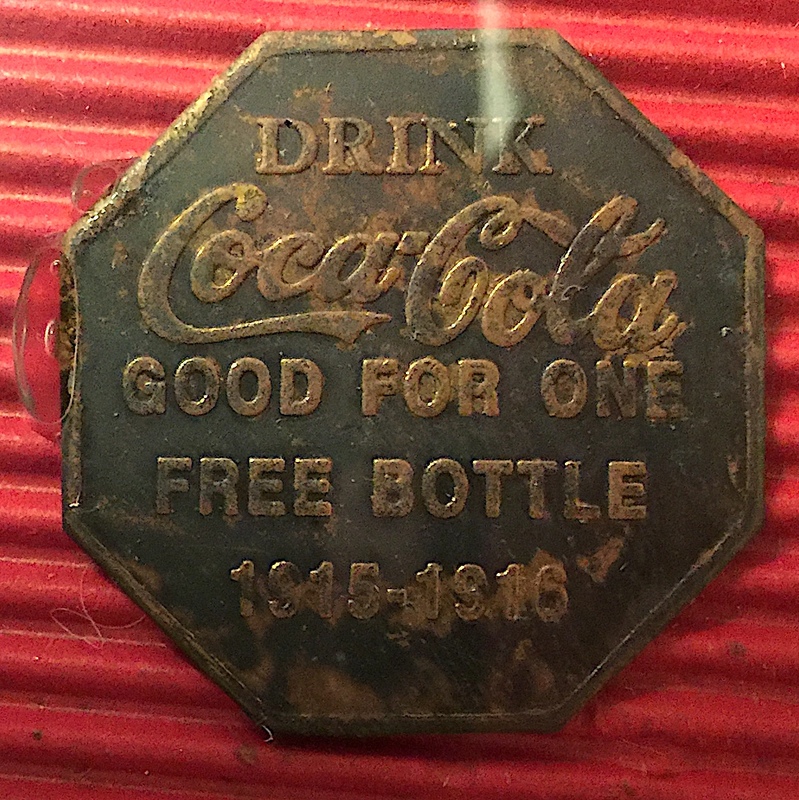 As I was sorting through the collection, I found a frame with an octagonal token “Good for one free bottle” of Coca-Cola dated 1915-1916. The token is in pretty decent shape although has been well handled. The problem is that it appears to be glued to the backing. The back of the frame also has writing indicating that it was a gift to the former owner. I have seen similar tokens before, such as the Colgate-Palmolive-Peet token I previously wrote about, but never on for Coca-Cola. I am sure that these are relatively common for advertising tokens. For a Coca-Cola collector, it is a nice gift. For a numismatist interested in the token, I am worried that such a piece may be damaged. 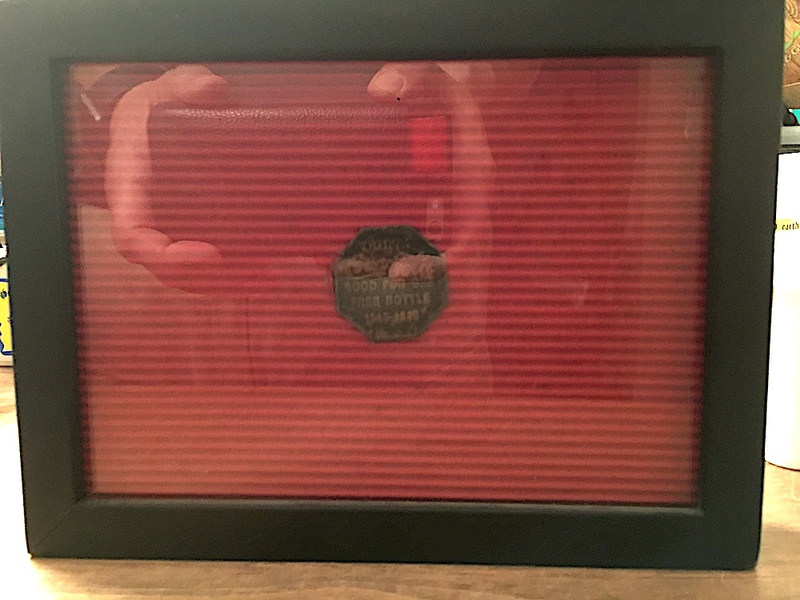 Before I decide whether to free the token from its frame, I have to decide whether it would be better sold as a framed item or with the token. I also have to decide whether I want to keep this token! I better be careful because if I keep finding all of these fascinating advertising tokens I might end up keeping them and starting a collection.